Will the not-so-hot hatch finally get the performance buyers have demanded? 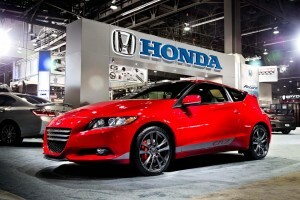 Honda offers some hope to those who want real performance from the little CR-Z. Honda fans attending this week’s SEMA Show in Las Vegas are in for a treat as the maker pulls the wraps of a series of concept vehicles that includes a supercharged version of the not-so-hot hatch CR-Z. Though the Japanese maker insists the show car is simply an “exploration of the performance potential of the CR-Z Sport Hybrid,” Honda officials have sent broad signals that they’re looking for ways to punch up the performance of the much-maligned 3-door. And the SEMA Show has become a test ground for numerous makers to measure whether concepts will click with performance-oriented buyers. Plug In...with a Free Subscription! Formally named the HPD Supercharged CR-Z Concept, it’s the work of the Honda Performance Division – which has a number of other show cars making their debut in Sin City this week, including the Accord Sedan X-Package and the Acura ILX Performance Racer. Will pay $18 fine in Justice Dept. probe. Supplier Tokai Rika likely wasn't delighted at the reality of being convicted for price-fixing. A Japanese supplier has pled guilty in a probe by the U.S. Justice Department into price fixing in the auto industry, which continues to grow and has now snared nine different companies on three different regions of the world. Nagoya, Japan-based Tokai Rika Co. Ltd. has agreed to plead guilty and to pay a $17.7 million criminal fine for its role in a conspiracy to fix prices of heater control panels installed in cars sold in the United States and elsewhere, the Department of Justice announced. Tokai Rika has also agreed to plead guilty to a charge of obstruction of justice related to the investigation of the antitrust violation. The company’s American arm is based in Plymouth, and it also has units in Battle Creek and Jackson. But you could get more for your trade-in over the coming months. 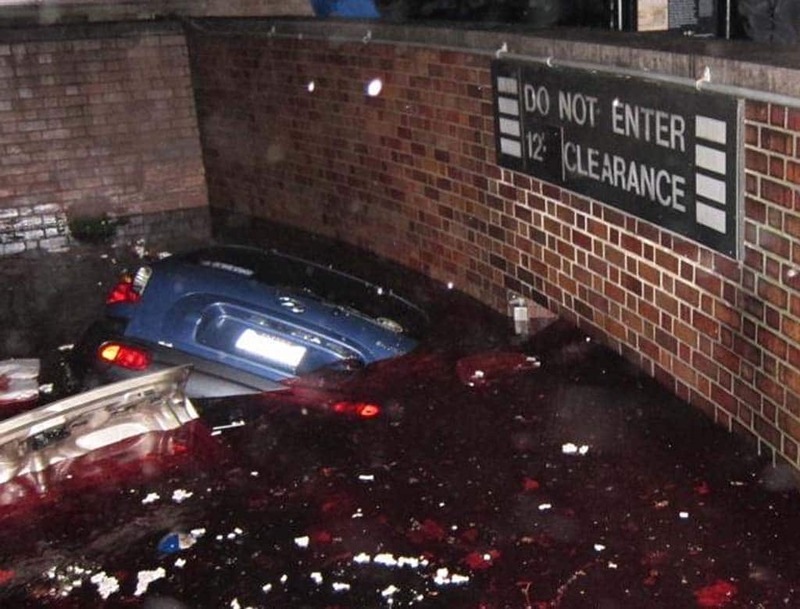 Cars float out of a flooded garage in Manhattan after Superstorm Sandy drove record floodwaters into the city. Photo courtesy Ray Wert, Jalopnik. 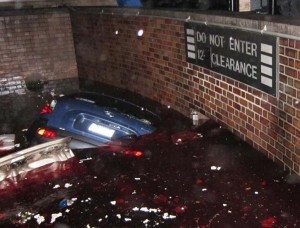 With much of the Eastern Seaboard still digging out and drying out from Superstorm Sandy estimates now put the damage at anywhere up to $50 billion, perhaps more. But in the weeks to come, even consumers as far away as the West Coast could feel the pinch. That is likely to be especially true for car buyers. Early estimates suggest that tens, perhaps hundreds of thousands of vehicles were damaged to the point they will need to be replaced. And that is likely to drive up prices for both new and used vehicles in the weeks and months ahead, experts warn. If there’s a positive side for consumers it could mean better prices for those looking to trade in a car. For the industry, it’s likely to add even more momentum to the U.S. automotive market’s ongoing recovery. Maker increases projected losses in Europe. GM continues to struggle in Europe, even as the home market rebounds. General Motors reports it earned $1.5 billion during the third quarter of 2012, a 14.5% decline in net profits, though the maker’s earnings before interest and taxes, or EBIT, rose nearly 5%. The maker’s latest quarter reflected a generally strong performance in a U.S. market that has seen a sharp upturn in car sales this year that has defied skeptics’ forecasts. And the maker did well in Asia and most other international operations. But GM was hammered by the collapse of the European automotive market and the ongoing problems at its German-based Opel subsidiary. Despite the decline in net earnings, which worked out to 93 cents a share, the maker significantly beat Wall Street expectations. Industry analysts had collectively anticipated the maker would come in at around 60 cents a share. A year ago, net income was $1.7 billion, or $1.03 a share. GM, Chrysler tell GOP candidate he’s wrong about China jobs. 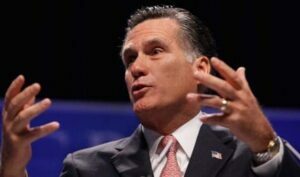 GOP candidate Romney is now taking fire back from Chrysler and General Motors. This story has been updated to include a late response by a Romney campaign official. GOP presidential candidate Mitt Romney is facing allegations he personally profited from the auto bailout he has repeatedly criticized while his hedge fund allies left thousands of Delphi retirees out in the cold, leaving the federal government to cover the cost of their retirement benefits. The former Massachusetts governor has also championed the cause of Delphi salaried retirees whose pensions were terminated during its bankruptcy, insisting the deal that helped the giant automotive supplier emerge from Chapter 11 was rigged to favor union employees. Feed Your Need for News! But a new story by The Nation outlined Romney’s investment in the hedge fund, Elliott Management, which was heavily involved in restructuring Delphi Automotive, the bankrupt supplier critical to General Motors. A significant part of the Romney family fortune is managed by Elliott Management, which is operated by Paul Singer, a billionaire who is also one of the largest donors to Romney’s 2012 presidential campaign. Exec pulled into political fray over "inaccurate" claims Jeep moving to China. Chrysler CEO Sergio Marchionne may have wanted to sit out the election but he's been pulled into the fray. 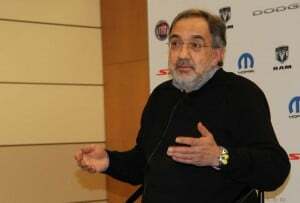 The Italian-born Marchionne made it clear in a note sent to Chrysler employees that statements and advertising by Republican presidential candidate Mitt Romney suggesting the company was moving Jeep production from its assembly complex in Toledo, Ohio to China was simply not true. “Chrysler Group’s production plans for the Jeep brand have become the focus of public debate,” the Chrysler CEO said in the statement that was also released to the media. The domestic auto industry has become a central topic of debate between President Barack Obama, who approved the largest portion of an $84 billion government bailout of Chrysler and General Motors, and his Republican rival – Romney arguing against the rescue effort but also trying to claim he helped to save the two makers by demanding a “structured” bankruptcy. Maker tops Wall Street forecast. 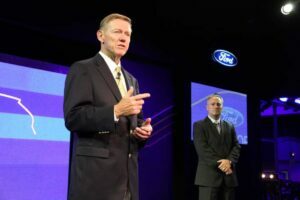 Ford CEO Alan Mulally hails the maker's best-ever third quarter -- despite ongoing problems in Europe. Despite a European slump likely to cost it more than $1.5 billion in red ink this year, Ford handily topped Wall Street forecasts with a $2.2 billion pre-tax operating profit and $1.63 billion in net earnings. The after-tax figure was a whisker short of the $1.65 billion earned during the third quarter of 2011 and nearly matches the $1.94 billion Ford reported in net earnings for all of last year. The maker scored better than expected despite taking a few serious hits, including heavier than expected losses in Europe and a series of reports that faulted Ford’s recent quality. The Detroit maker took a particularly sharp fall in the latest Consumer Reports automotive reliability index, released yesterday. Nonetheless, CEO Alan Mulally put an understandably positive spin on the third-quarter news. “”The Ford team delivered a best-ever third quarter, driven by record results in North America and the continued strength of Ford Credit,” proclaimed the former Boeing executive. A hint of what's to come? 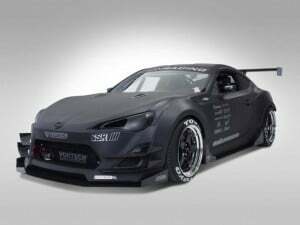 Daniel Song’s FR-S GT concept. The hot new Scion FR-S will be putting in a turn at this week’s upcoming SEMA Show, Toyota’s youthful brand unveiling three tuner editions that just might hint of things to come. Scion took a little different approach to prepare for the annual aftermarket show – which regularly draws an assortment of concepts and tuner models. The maker picked three custom car builders and gave each one an FR-S, $15,000 to spend and three months to come up with the coolest show car they could imagine. The finished products will go on display at the Las Vegas Convention Center this week and the winner of the Eighth Annual Scion Tuner Challenge will get another $10,000 for pocket money. Maker posts major gains in reliability study; still lags Toyota. Cadillac has been gaining ground with new models like the ATS. 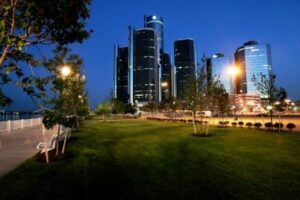 Can General Motors close the quality gap? The maker has long lagged key Asian rivals like Toyota and Honda, but a new study suggests it is rapidly gaining on the imports. GM was the only member of the Detroit Big Three to improve its standing in the latest annual Consumer Reports automotive reliability study, a survey of 1.2 million of the non-profit magazine’s reader. Rival Ford, by contrast, suffered a significant decline in the annual study. 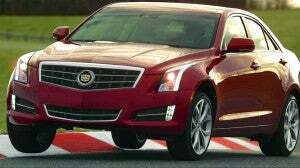 Only German luxury maker Audi did better at improving its reliability, compared to GM’s own flagship Cadillac brand. The strong performance in the influential Automotive Reliability Study comes as vindication for the long and laborious effort GM has made to get a handle on endemic quality problems. Industry analysts contend that years of poor quality resulted in significant market share losses for the giant U.S. maker – and contributed to the steady decline that plunged GM into bankruptcy in 2009. Toyota pumps some passion into its big sedan. 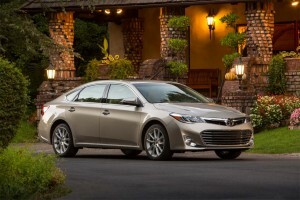 Toyota rethinks its design language with the new 2013 Avalon sedan. This story has been updated to include pricing and other information. For a brand long known for high quality but plain vanilla design, Toyota sent shock waves through the industry when it revealed an all-new version of the big Avalon sedan earlier this year. The new, full-size sedan is perhaps the single best example yet that Toyota CEO Akio Toyoda was serious when he promised to put more “passion” into the brand. The long-popular Avalon has been completely revamped for 2013 and is now the most “American” car the Japanese maker has ever developed, the striking new design emerging from Toyota’s styling center in Newport Beach, California, with the maker’s engineering center in Ann Arbor, Michigan taking lead on that end of the product. Production will be U.S.-based, as well. Avalon is clearly part of Toyota’s quest for younger buyers, the 2013 remake boasting a fresh exterior design that moves away from the conservative and cautious approach that had characterized earlier versions of the big sedan. But looks aside, we set out to see if the 2013 Toyota Avalon really lives up to all the hype as we headed to California for our first test drive.